William Law, the 18th-­century Anglican priest who heavily influenced the theology of John and Charles Wesley, lambastes pious hypocrisy and the corruption of the church in A Serious Call to a Devout and Holy Life, the latest reissue in Vintage's Spiritual Classics series. Law's prose is fresh and vivid as he illustrates the holy Christian life as one lived wholly for God. His thoughts on prayer, personal holiness and service to the poor will resonate with many contemporary readers. Jesús le dio un mandamiento a sus seguidores: “Síganme” Y una promesa: “Yo los equiparé para encontrar a otros para que me sigan.­”Fuimos hechos para hacer discípulos.­Diseñado para ser usado en relaciones de discipulado y otros escenarios enfocados, Multiplícate te equipará para llevar a cabo el ministerio de Jesús. Cada una de las veinticuatro sesiones en el libro corresponde a un video en línea en www.­multiplymovement.­com, donde el autor de libros más vendidos del New York Times David Platt se une a Francis al guiarte a través de cada parte de Multiplícate. Uno más uno más uno. Cada copia de Multiplícate está diseñada para hacer lo que hizo Jesús: Hacer discípulos que hacen discípulos que hacen discípulos. .. Hasta que el mundo sepa la verdad de Jesucristo. So many Christians believe God's love is fickle: when they sin, He turns away in disgust and anger. They vacillate between "He loves me" and "He loves me not" because of their behavior. That reasoning, writes Wayne Jacobsen, is as flawed as pulling petals from a daisy. Rather God's love is sturdy, enduring, and undisturbed by people's failings because God loves humankind not for what they do--­but who they are. They are God's beloved creation. Startlingly honest and empathetically written, HE LOVES ME! reveals the facts of God's relentless grace. Readers will learn how to live consciously, confidently in this love all the time. Questions for personal reflection and group discussion help make these truths practical and life-­changing. Insecure Christians ready for a revolutionary relationship with God will find out just how accessible that is. Thomas doubted. Peter denied. Matthew had a shady past. And most of Jesus' disciples had trouble understanding his true message and mission at times. How did Jesus take lowly fishermen and tax collectors and turn them into some of the most influential men that ever lived? And how can modern church leaders empower regular church members to meet their potential as servants of God? In Jesus Christ, Disciplemaker, Hull outlines Christ's methods in training his twelve disciples and presents a biblical pattern that emulates Christ's model for reaching the lost. 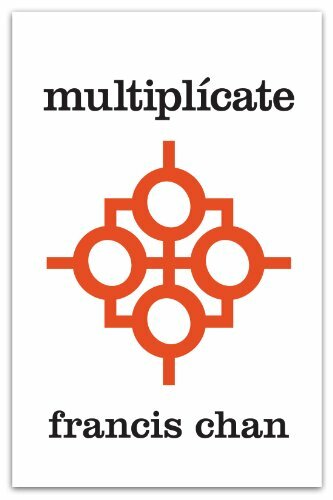 By taking readers through four growth phases-­evangelizing, establishing, equipping, and leading-­Hull shows how these principles can be adapted for any discipler. Jesus Christ, Disciplemaker is the perfect resource for pastors and church leaders who want to learn how to help others grow in God's service. This Bible study series from beloved Bible teacher Kay Arthur and the teaching staff of Precept Ministries tackles important issues in brief, easy-­to-­grasp lessons you can benefit from personally or as part of a small group. Each book in the series includes six 40-­minute studies designed to draw you into God’s Word through basic inductive Bible study. As Kay explains, "Rather than simply reading or listening to what others say about a subject, you are going to see for yourself what God says about it.­"Join one of the world’s most respected Bible teachers in a study that will revolutionize your thinking--­and your life. Have you ever wondered if it’s possible to have a meaningful and authentic relationship with God--­one that really works in the day-­in-­day-­out circumstances of your life? This powerful inductive study will help you discover for yourself how such a rewarding relationship with God is possible. Kay Arthur opens the Bible to show you the way to salvation, with a special . . .
Thirty lively lessons cover questions such as "Is Jesus the only way to God?­"; "What does it mean to be born-­again?­"; "How do I walk victoriously with God?­" Written specifically for young people, this study guide comes with comic-­form pages on special topics about the Christian life. This book is one of the most important books a twenty-­first century believer can read. It is an adventure into discerning core biblical truths; it is about balancing GOD'S grace with OUR faith--­biblically. What is the relationship between His gift of Grace and OUR Faith? Most of us have not been taught everything we need to know about our eternal security! 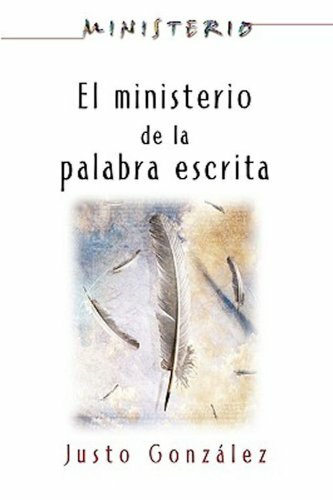 El ministerio de la palabra escrita constituye una guía práctica para todas las personas que estén contemplando la idea de escribir y publicar un libro. De una manera amena y entretenida, Justo González nos introduce en el mundo del escritor y las dinámicas de publicación. El autor ofrece en este volumen sus años de experiencia como escritor y editor, y anima al lector a participar en la producción de material escrito para el pueblo hispano-­latino con afán de solventar su escasez. This title, translated as "the ministry of the written word" constitutes a practical guide for all who contemplate writing and publishing a book. In a practical, and easy-­to-­understand manner, Justo González introduces to the world of the writer and the dynamics of publication. The author offers in this volume his many years of experience as the writer and publishing, and encourages readers to participate in the production of material written for the Hispanic-­latino American communities where there is . . . In an age of decadence, degradation and despair, God is calling forth an Elijah Generation! Are you going to be part of it?  This eBook is an opportunity for men to take a good, honest look at their lives in light of the standard of God's Word. Based on years of study and prayer into the lives of Elijah and John the Baptist, this book draws attention to 30 godly attributes to pray into your life.